K1 visa here and interview was last March 14. I’m still immigrant instead non immigrant at Ceac. Consul didn’t asked for any documents. But seems I’m under 221 for almost4 days. I’m so anxious now. 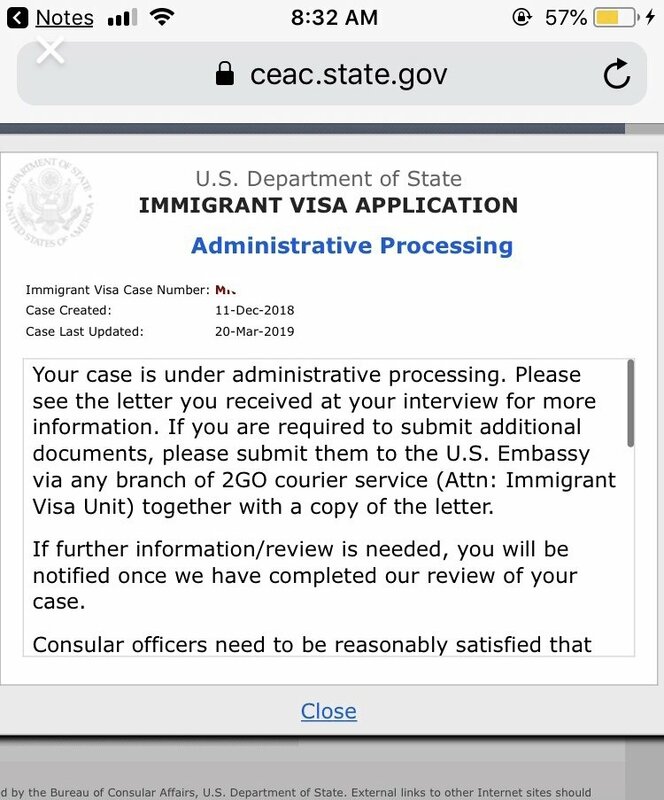 I don’t know what wrong with our case 😑 case was updated every day but still immigrant. Anyone same case with me? Well, what did the letter you received at your interview say? No letter just 2 pamphlets and she congratulate me. Ah, okay. Well then I really doubt there is anything to worry about. If they required more documents from you, the letter would have stated that. Normal processing/AP can be a week or two. Hang in there! they usually gave you a small piece of paper if you are approve and they also take your passport from you. but AP is very common now. did she keep your passport and told you anything like you are approve or what you are supposed to do when you get home? if she congratulate you and keep your passport with you then its a good sign,, everyone undergo ap anyway..but if she gave you a pc of paper and said to call the number to confirm your delivery address you should have done that..
in my case CO told me to call embassy if i don't receive my passport with visa after 10 days.